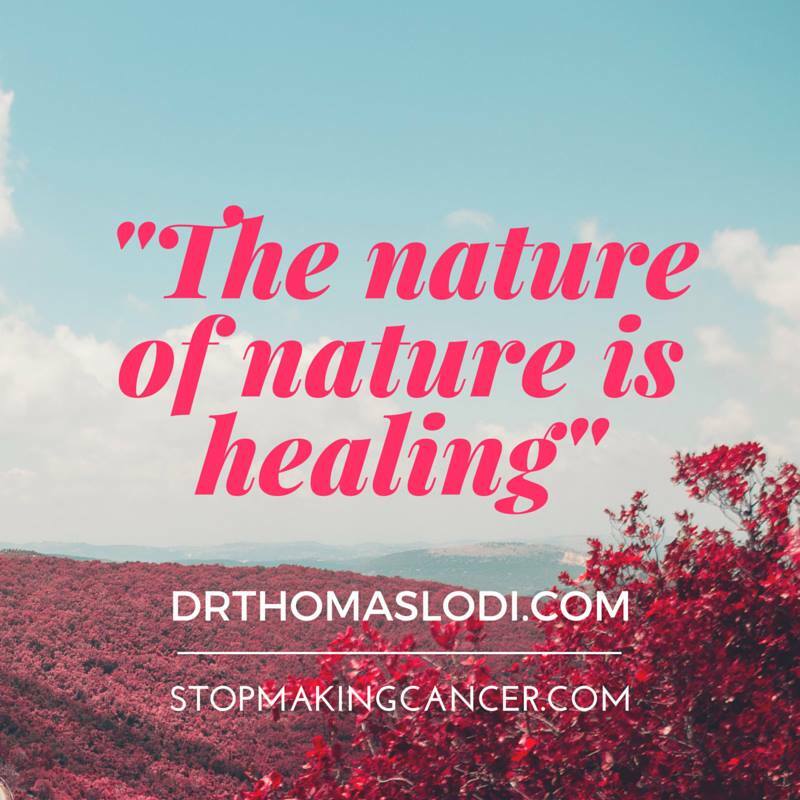 More people are waking up to the fact that the nature of nature is healing! The two things that we are told that we have to do as children by our patents and society are as follows; to control and predict. Both of these are impossible. The nature of nature is healing, it’s why cuts heal. The old joke is if you want to make God laugh, tell him your plans. The point is, you can’t control and predict anything. What I see in people who are really sick is that they are losing control, apparent control, and that struggle and fight is compounding the problem. What they are not doing is “being” in the moment. Every moment along the way where we are not trying to change it while being totally present is blissful. A magic pill implies that something is wrong and that the pill is going to fix what is wrong. Right here’s an example, let’s say I have a high temperature. Western culture see’s that as a Tylenol deficiency and would end up taking the Tylenol to stop the fever. Now, if people comprehended that the immune system works optimally at 103.5 degrees, they would certainly embrace the high temperature. They would understand it was eliminating something in our body that shouldn’t be there. Now, the lizard and snake that don’t know that and are not warm blooded, they crawl onto a hot rock and bake in the sun out of instinct. They do this to get their white blood cells functioning better. What more people need to recognize is the body is divinely driven, it’s divinely crafted as well as it functions really well. The body’s job is to recover, period. If you cut the body, it will heal, if you scratch a Maserati, it does not heal. The body is a magical thing. The only time the body is not recovering is when something is in the way. The only time that water does not run downhill is something is in the way. Water will certainly always run downhill due to the fact that when you get rid of the barrier, it proceeds downhill. It’s the same with the human body and the very best thing we can do is to get out of our own way and also return to the living in harmony with nature. Living in harmony with nature and eating real whole food, green juicing, getting proper rest, as well as exercise. An Oasis Of Healing can guide you in getting out of your own way permitting your body to heal naturally. To actually take a pill means that person doesn’t understand. When someone has high blood pressure or cancer or heart disease, that is the body keeping that person alive. If these processes weren’t happening, for example, with high blood pressure, the blood wouldn’t be able to get through and the organs wouldn’t get enough oxygen and the person would die. If people truly understand this then what they need to do is realize that somehow they have got into their own way and their own natural ability to heal.